This year’s theme is Artificial Intelligence Demystified: using Artificial Intelligence to Build a Better World. All presentations will be ‘Made in Europe’ and presented by a selection of the brightest minds in technology. 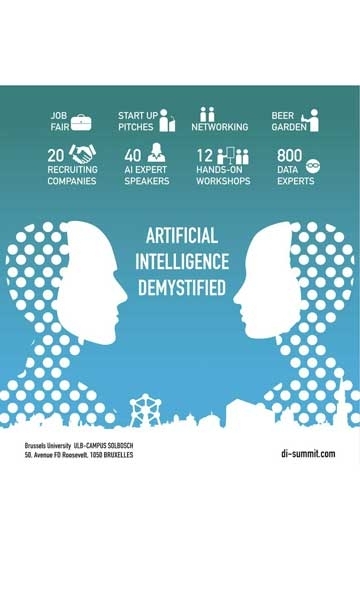 This summit gathers our innovation ecosystem, 800+ data experts, startups, large corporations, academics, executives and government officials interested in Data Innovation in Europe. Expect a fast-paced day with plenty of opportunities to network. Learn, exchange, connect and have fun! Join us at ULB Solbosch Campus on 27 June 2018!